OUR LATEST SOFTWARE UPDATE IS NOW AVAILABLE! Click here to learn more about the innovative Performance Parameters and other new features. 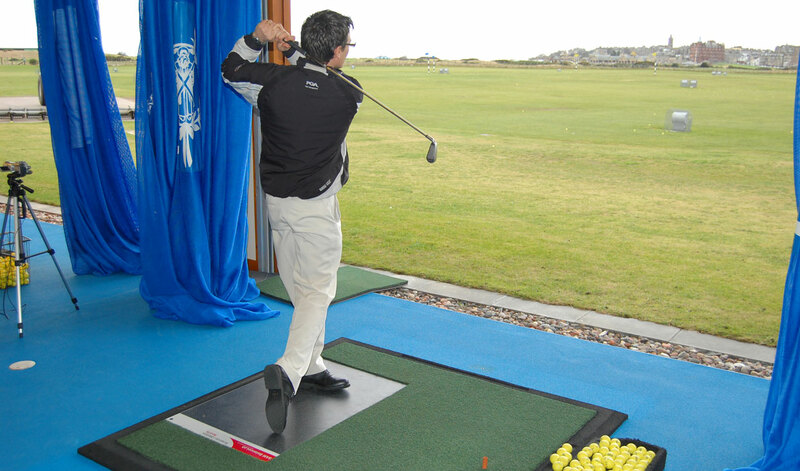 SAM BalanceLab is an ultra-high resolution pressure plate to evaluate balance and weight transfer during a golf swing. The pressure signals and synchronized video are recorded in parallel and then interactively analyzed in detail. 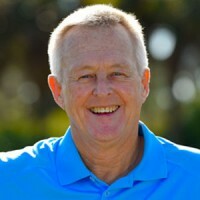 Poor balance and an irregular weight shift are often responsible for swing flaws resulting in an unsatisfactory outcome of the shot. 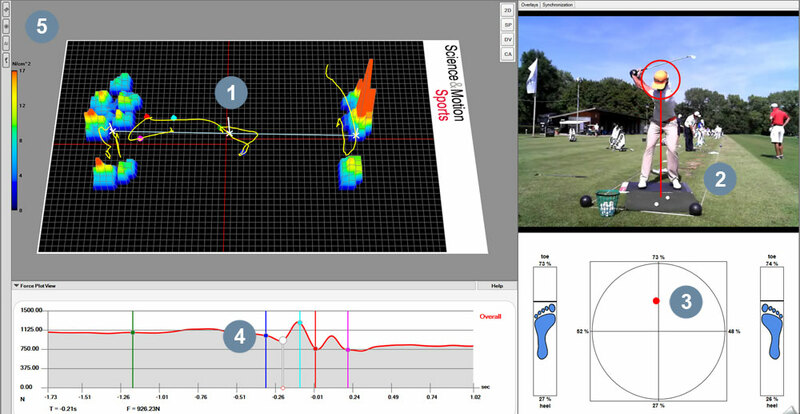 The report capabilities of the system are similar to our proven SAM PuttLab system and give the user detailed data from each swing that can be viewed and printed. For more information or pricing inquiries please use our contact-form. On the lower image you can see a quite efficient weight shift of an US Tour player (Iron 5). Backswing and forward swing are in the same plane. 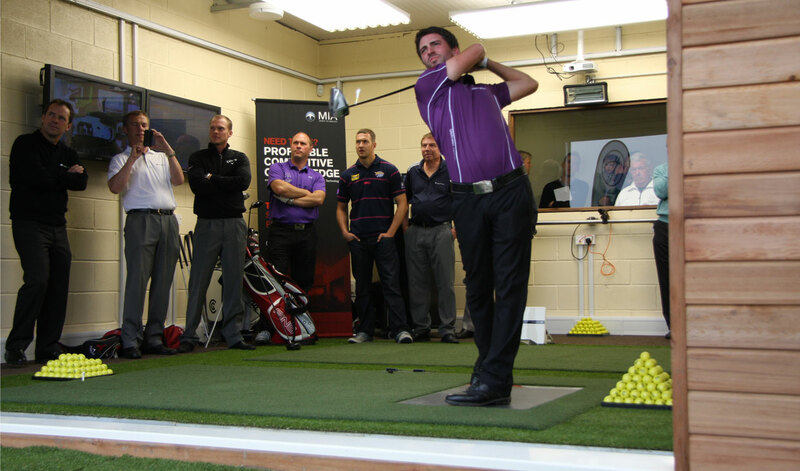 At impact the COP is 72% at the front foot with an almost even heel/toe balance with 55%. 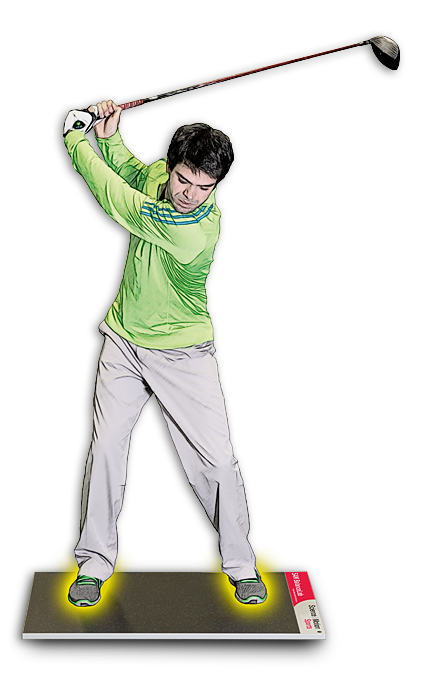 The club head can freely accelerate through impact on the target line to create power and control. 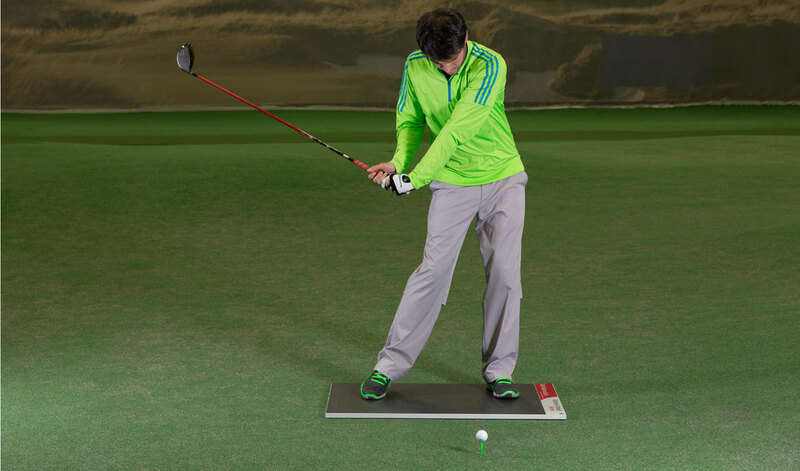 Insufficient weight shift and uneven balance in heel/toe direction are common flaws in poor golf shots. The lower picture shows the COP at impact with a lack of weight shift to the left with only 47% as well as a balance too much forward at the toes with 92%. Improper balance will reduce the power at impact and may e.g. result in an out to in swing plane, promoting a pull, slice or fade.